Spanish street artist e1000 (previously here and here) has recently painted another of his 3D works. 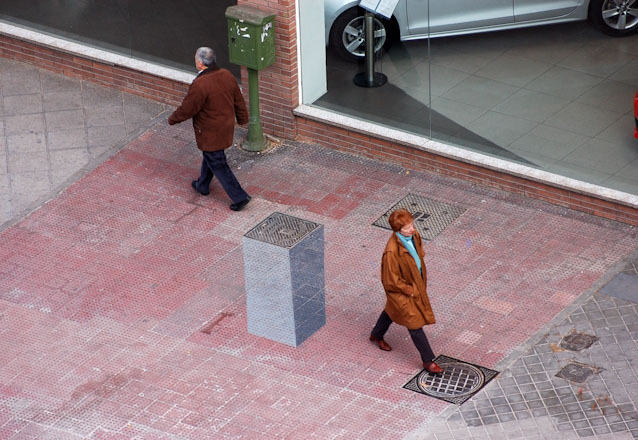 This one on Paseo de Santa María de la Cabeza in Madrid, gives the illusion (when seen from above street level) of a pedestal emanating from the street. 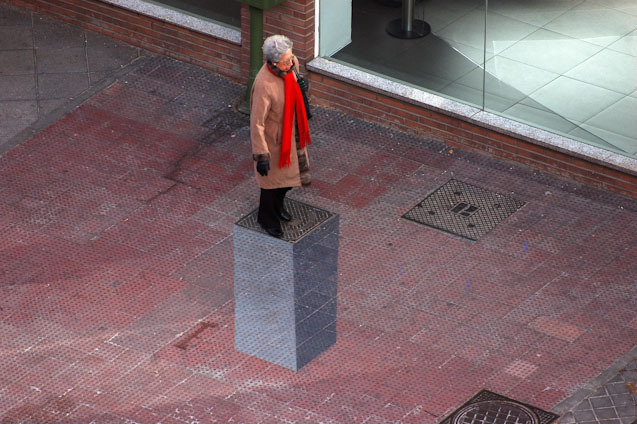 Passersby, unknowingly, suddenly appear to be elevated in a statuesque manner. Fun!